I’ve previously discussed the standard, blended Pendleton bottling as overwhelmingly sweet, but things are more mellow with this expression. Intensely fruity, it offers lots of thick cherry notes, orange marmalade, and well-integrated spice throughout. Sweetness is still there in the form of a bit of butterscotch syrup, but it’s not overwhelming in the way regular Pendleton is. Good balance and a strong but not overpowering body. Surprisingly mellow finish considering this is a 100% rye spirit. I agree with John. Very sweet with a strong vanilla component and largely lacking the characteristic peppery taste of rye. It is hard for me to believe this is really 100% rye, because it is so soft compared to Whistle Pig Rey or Woodinville 100 Percent Rye Whiskey (both are 100% rye). Very drinkable, but unusual for a rye whiskey. I think the most important thing to take away from this whisky is that barrel selection is the single most important part of creating a brand. When Dave Pickerell selects casks at Alberta Distillers for Whistle Pig, he has a flavour profile in mind, just as the guys from Sebastini Wines do when they pick barrels for Masterson’s Rye. With a big enough stock, you can choose from an incredible amount of flavours and characteristics, and Hood River Spirits obviously went for a softer style of rye. Andrew – agreed. The public vastly underestimates barrel variance… which is why companies like Beam can make a dozen different whiskeys (that all taste different) from basically the same stock. Yeah, I’m not sure this is 100% rye. The bottle, and tag, say “100% Canadian Rye” but that’s ambiguous since Canadian rye can have as little as 40% rye (the grain). Compare to whistle pig boss hog. That’s a bit older, bit made from 100 rye, sourced from Canada. It is sweet but hugely peppery. This Pendleton must be blended with some non rye grains. 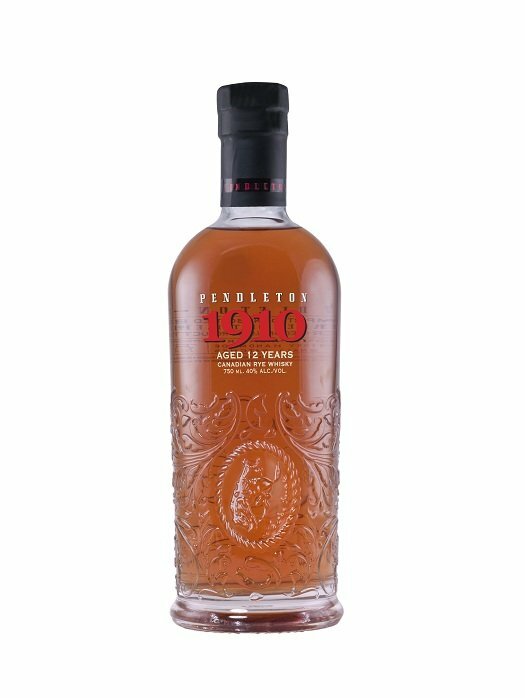 Liam – I confirmed with Pendleton/Hood River Distillers that 1910 is indeed 100% rye. Differences in the grain source, barrels, and even the yeast may account for the differences you experience with other 100% Canadian ryes.